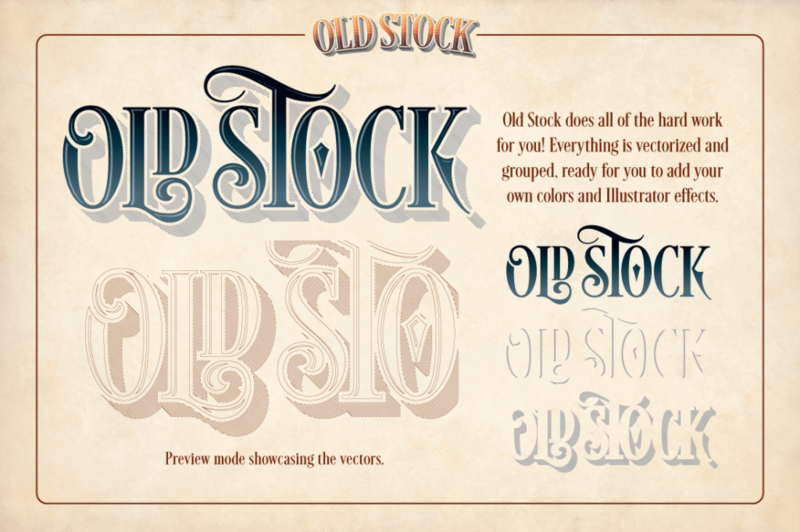 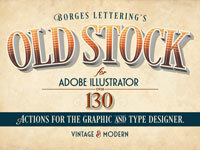 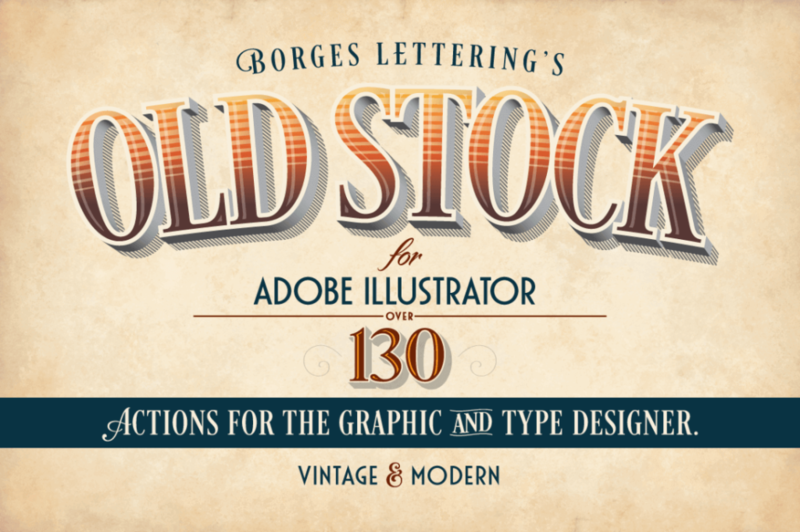 Borges Lettering’s Old Stock features more than 130 vintage and modern Illustrator actions. 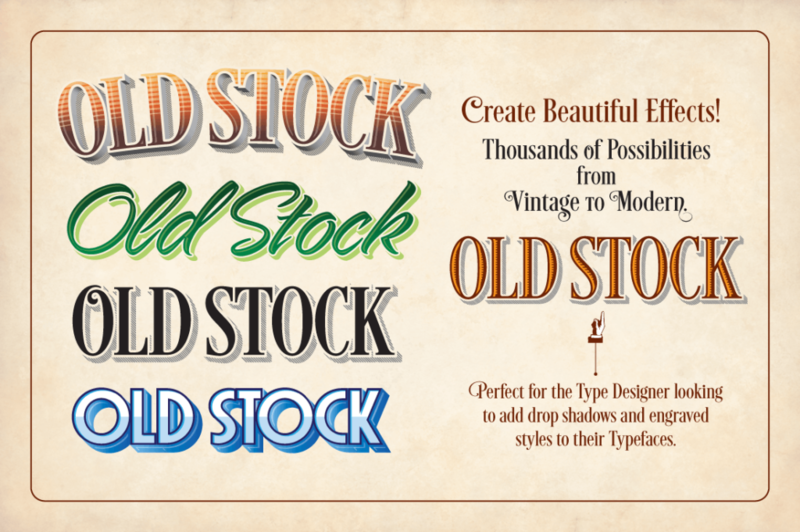 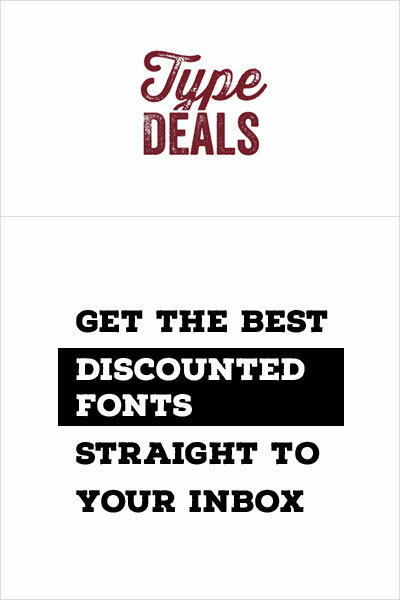 Easily create thousands of different striking effects by utilizing drop shadows and engraved styles. 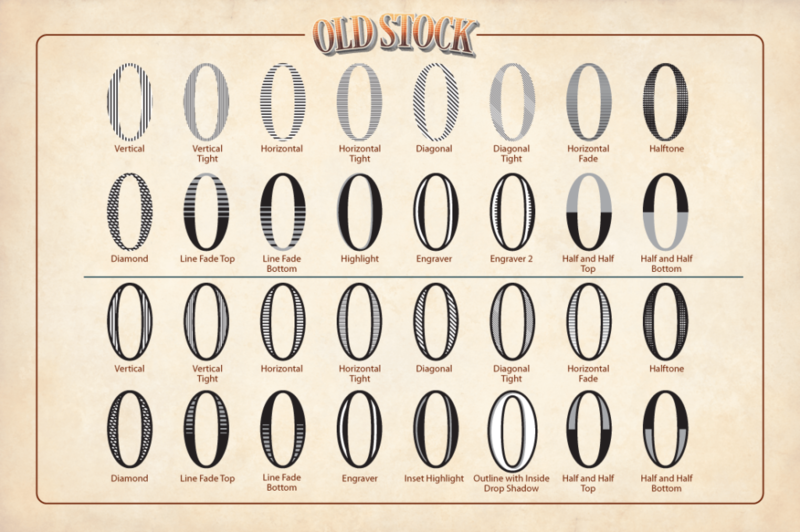 With just a few simple clicks, you can effortlessly add complex effects to your latest project.